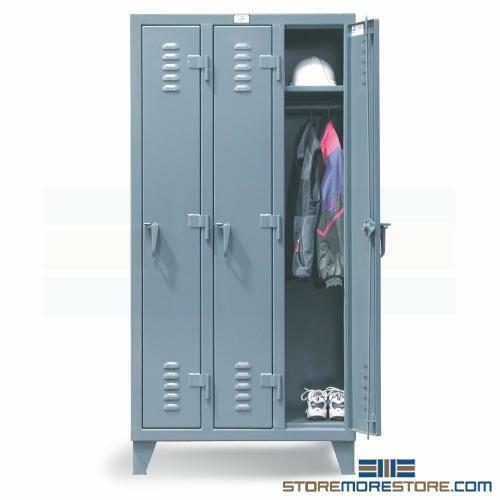 All-welded industrial steel lockers are designed for durability and performance with a heavy-duty design and construction that makes them ideal for applications in military, police, refineries, labs, manufacturing, and more. Visit our store to choose from lockers available in various sizes and styles, or we can design custom-sized lockers to meet your exact requirements. With 6″ high legs, you can also load the industrial steel lockers onto a forklift for easy mobility. Even though the lockers are heavy-duty, this provides an extra level of flexibility for your changing needs. And since they ship entirely assembled, all you have to do is set them in place before they’re ready to use. Additionally, the louvered doors allow easy airflow through each compartment. This ventilation helps prevent the buildup of dust, mold, and other bacteria, which is not only a health hazard but can also cause some rather unpleasant smells. Designated models also include sloped tops, which prevents users from stacking items on top of the lockers. 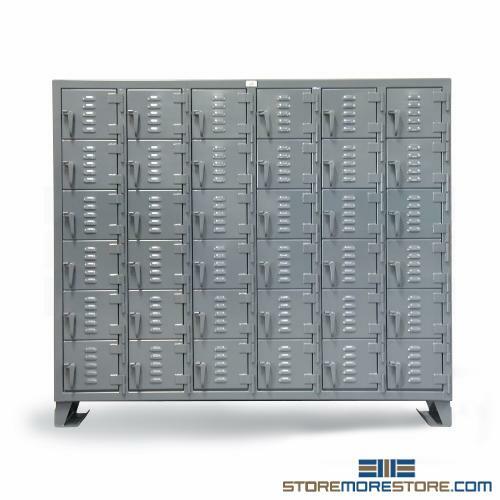 Industrial steel lockers are available to buy online and ship in 6 to 7 weeks with free dock-to-dock shipping. If you need any assistance or just want some help picking the right solution for you, please call us at 1-855-786-7667.